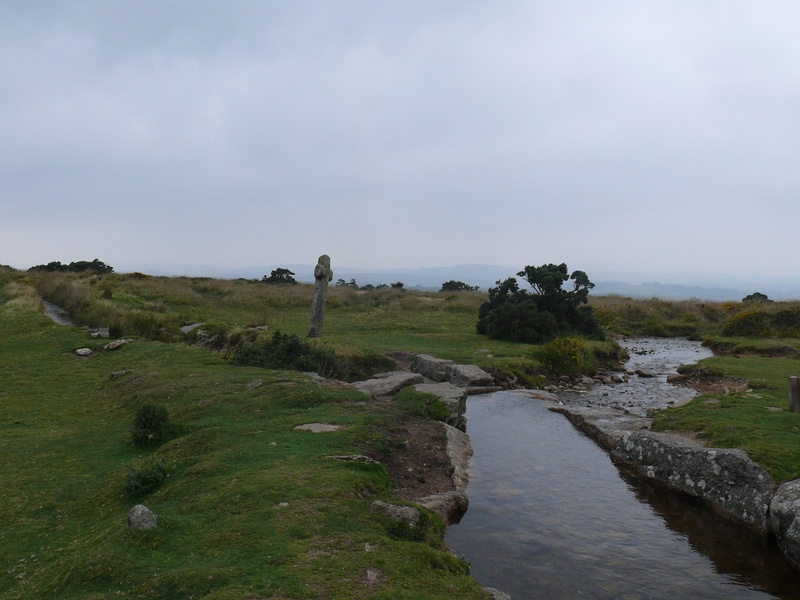 Windy Post or Beckamoor Cross is a cross set in place to mark the Abbot’s Way on its journey across Whitchurch Common from Tavistock. 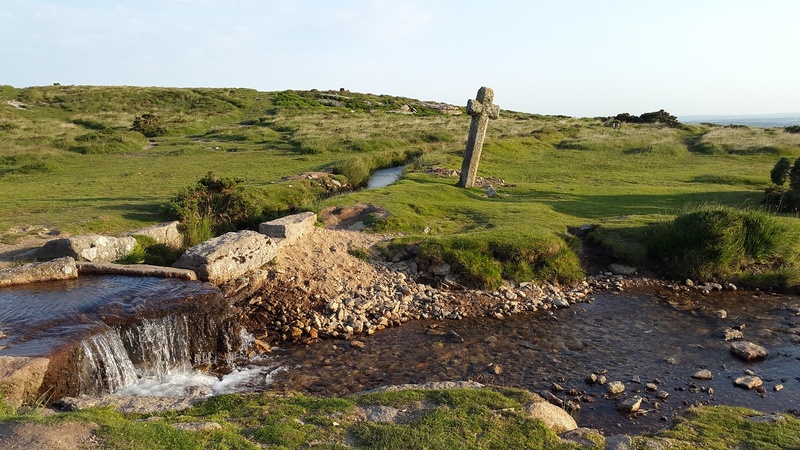 The cross sits near to Feather Tor, beside the Sortridge and Grimstone leat. 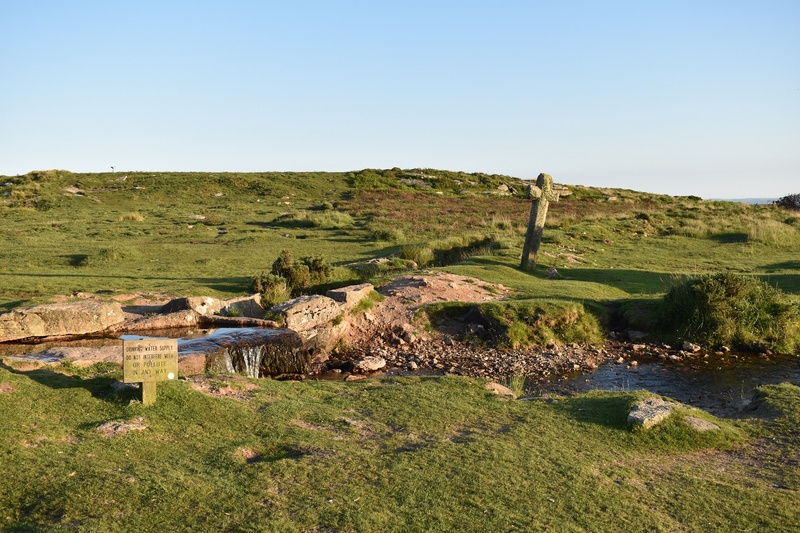 It is believed to have been erected in the 16th century and its lean is probably more down to animals using it as a rubbing post than from what its name suggests!! 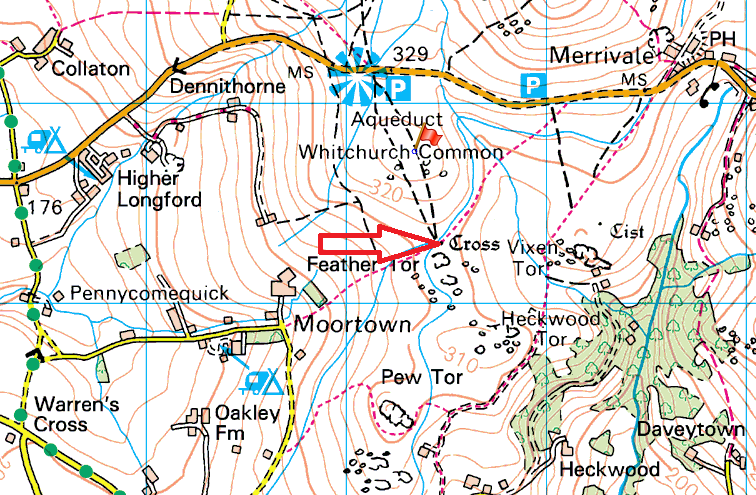 The brilliantly named Grimstone and Sortridge leat and Windy Cross. The left hand split in the leat takes water to nearby farms.